I have to admit, I’ve read for ages that changing up your beauty routine can often come and go with the seasons and it wasn’t until last year that the advice had actually sunk in. By force of habit, I always seemed to moisturize and yet it never seemed to dawn on me that in the warmer months it felt like my makeup and face would literally melt right off me. A friend suggested opting for serum instead of moisturizer and it made the world of a difference. 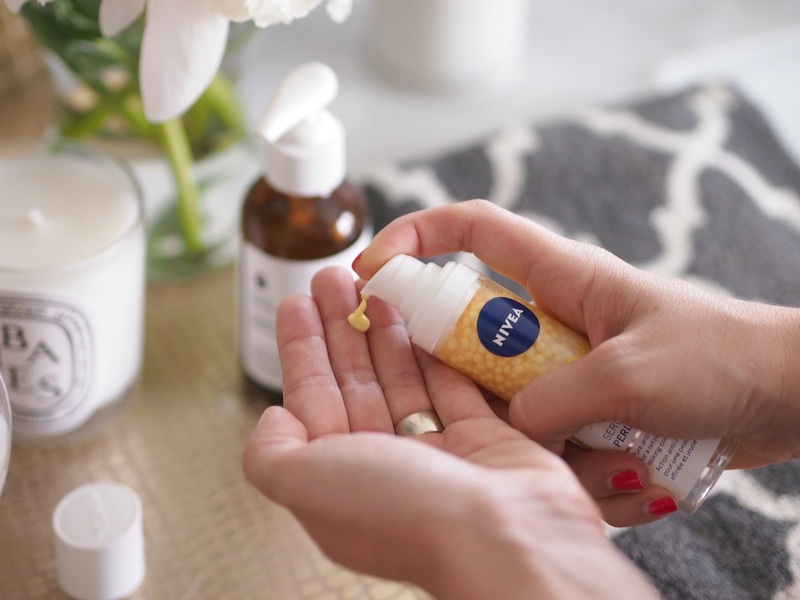 I’ll be honest; I’m not married to one brand or ‘type’ of serum and am certainly willing to try new products depending on availability, effectiveness and price point. 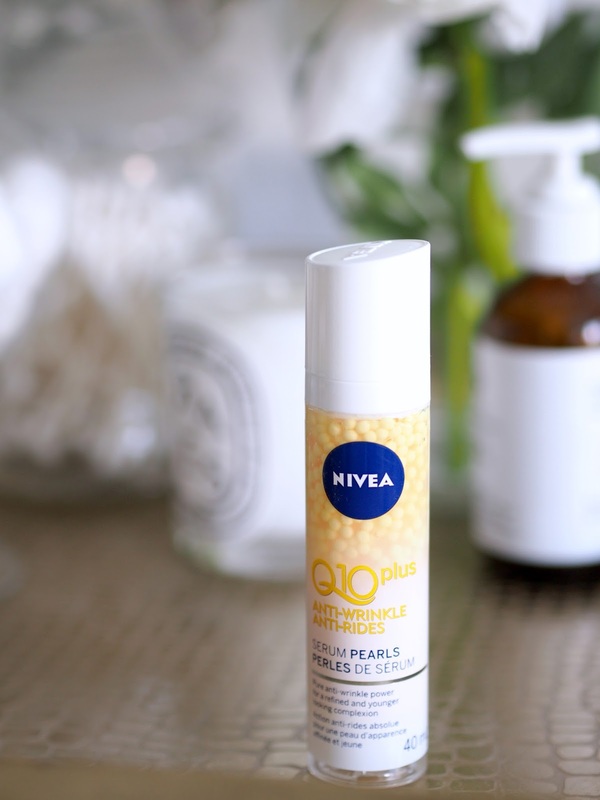 I was recently approached by NIVEA to try the Q10plus Anti-Wrinkle Serum Pearls and see if the product was a contender with my newfound summer beauty routine. I tried it twice daily (morning and night) to see what effects I would find after 7 days. The serum itself is held within these perfect pearls (that almost look too pretty to pop) but once you pump it out of the bottle, its texture feels similar to that of moisturizer. It was nice to find you didn’t need much of the serum to cover your face and it worked as the perfect canvas before applying my foundation. Sometimes after a long day at work I tend to find areas around my nose, eyebrows and chin can begin to feel dry but it consistently felt moisturized into evening. The packaging mentions that ingredients in the product mimic those that are already found in your skin to reduce the signs of aging. It's packed with highly these concentrated coenzyme Q10 (pearls), hyaluronic acid and creatine. Personally, I didn’t notice a profound difference to my fine lines in the 7 days but I assume the consistent feeling of your face feeling moisturized could help reduce possible signs of aging. My final verdict? 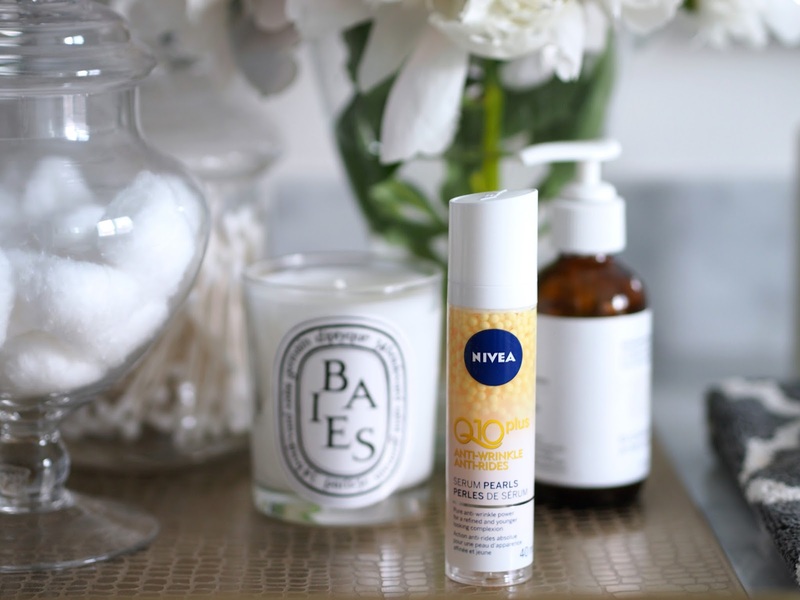 If you're looking for an alternative means to a moisturizer in the warmer temperature and wanted to try a serum, NIVEA Q10plus Anti-Wrinkle Serum is certainly worth the buy. Without requiring much product, the serum certainly worked to ensure my skin felt moisturized from morning to night and complimented my foundation. A great drug store find (only $19.99), I definitely wouldn't hesitate purchasing this item for myself or recommending it to a friend. I have been trusting NIVEA for many years. Adding serum to my evening routine makes such a difference. Thanks for the great beauty advice, I really think serums make a difference. If you don't mind me asking what type of lense do you use? A 50 mm 1.8 f stop? I absolutely adore a good serum! 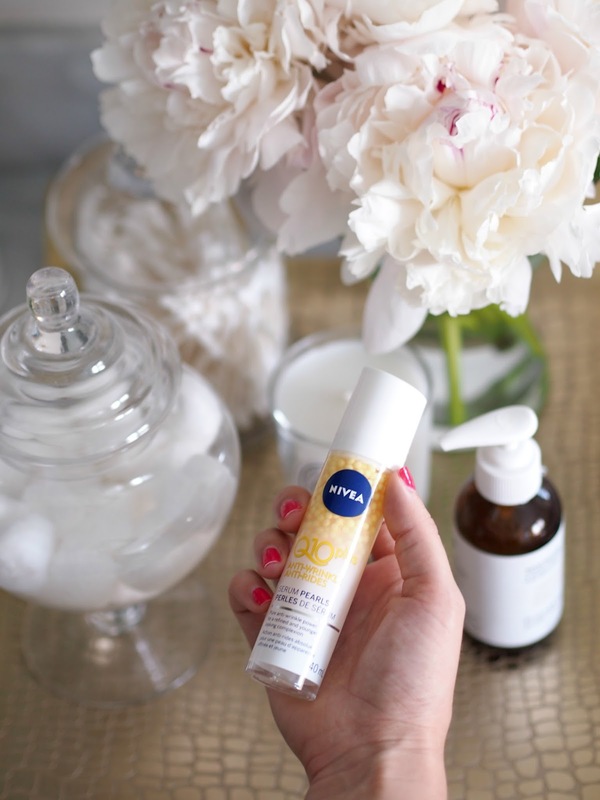 It's actually a good idea to still use a serum with a light moisturiser, as it locks it in and prevents it from evaporating from your face (from what I hear anyway!). But then again, I have quite dry skin so definitely need that added moisture! The Nivea serum is so thick! It would be interesting to use I think, as most serums are much thinner. I'd definitely love to try it! For sure will have to try this.. I've had a problem with my skin lately and hopefully this will help it! Serums make a huge difference, I love Estee Lauder's night serum repair, I'm a little afraid to try a different brand.